MENUHome About Us	– Randi L. Johnson – Attorney – Pam Fieser – Firm Administrator – David Morris – Client Services Director – Cassandra Ducharme – Paralegal – Our Partners Services	– Family Estate Planning – Disability Benefits	– – SSDI & SSI – – Veterans Administration Testimonials Blog Events Contact Us! When you plan your estate with care, you invest in a more secure future for your spouse, your children, and other loved ones. Here at Lilac City Law, we know this is easier said than done, but we never said you’d have to do it alone. We can offer you trustworthy guidance when you decide to create a will, trust, or other legal document protecting your estate in the event that something happens to you. At our initial meeting, you choose the level of planning and the fixed fee that works best for you and your family. You won’t have to worry about any surprise fees. We make sure your plan works, and we keep you in the loop. We ensure that your assets are owned correctly, that your plan benefits your child’s well-being, and that everyone named in your plan understands their duties if something should happen to you. We review your plan at least every 3 years, or annually through our Family Wealth VIP Membership program (see below). Things will change throughout your life, from your family to your assets. We foster an ongoing relationship with our clients to keep their plans updated. Our team is available to answer your quick questions and simplify the planning process for you and your family. Our methodical process ensures your assets are always titled in the right way. We help you get your legal and financial matters in order so you can make smart choices about buying insurance, saving for college, retirement planning, and more. Our legacy planning services encompass more than just your financial assets. We will help you transfer your most important personal wealth to your loved ones, including your intellectual, spiritual, and human assets—who you are and what’s important to you. It’s important to safeguard your finances with the right legal documents, especially if you have specific plans for your estate when you are no longer able to manage it yourself. That said, many lawyers will neglect to address your non-material assets—what we like to call your family wealth. Our Family Wealth Plan is designed to protect your intellectual, spiritual, and human assets, or the parts of your legacy that define you as a person. Have you thought about who would care for your children if anything should happen to you? Our family estate planning solutions include a service called Kids Protection Plan. Follow the link to find a form allowing you to name legal guardians for your kids. It’s easy, fast, and free of charge, and even offers tips about who you should choose. If you later decide to create a more in-depth legal document outlining your chosen guardians, our Team can help you with that too. Whether you need a quick plan to cover your bases or a comprehensive estate plan, Lilac City Law is here for you. Get in touch with our attentive lawyers to discuss your estate planning needs. We can help you envision the future with confidence. Take your kids’ futures into your own hands. Click below and follow the provided instructions to start the process of naming a legally binding guardian to care for your kids if you are ever unable to do so! 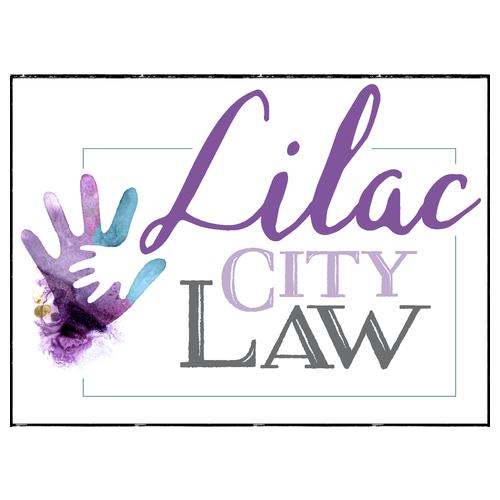 As part of our promise to keep you informed about pertinent legal information, Lilac City Law offers a free monthly newsletter. Subscribe today to receive monthly resources on relevant legal topics!